A pact with the devil…? Apart from knowing nothing about history, assuming anyone called Napoleon must be the same guy, this half-wit chose glibly to ignore the fact that the Haitian revolution led to the creation of Haiti as an independent country as a result of the only successful slave revolt in history. For the purpose of my post I will choose to ignore the Old Testament story of the Israelites being delivered from slavery in Egypt by Yahweh under the leadership of Moses – no doubt Pat Robertson wouldn’t be happy. At the end of the 18th century Saint Domingue, as Haiti was then known, was France’s most profitable colony and half a million enslaved Africans were forced to toil on spectacularly bountiful plantations, which produced 60 per cent of all coffee and 40 per cent of all sugar consumed in Europe, more than all of Britain’s Caribbean colonies combined. Historically, conditions for the slaves in Saint Domingue had been the harshest in the Caribbean. They were worked so hard by French plantation owners that half died within a few years; it was cheaper to import new slaves than to improve working conditions enough to increase survival and to sustain the slave workforce 30,000 slaves a year were being transported from Africa. The rate of death of slaves in Saint Domingue was higher than anywhere else in the western hemisphere. It was legal for a slaveholder to kill a slave. Torture of slaves was routine; they were whipped, mutilated and raped. The favoured form of execution was burning at the stake. With the coming of the French Revolution, and the promotion of universal ideals of liberty and equality, the status quo became increasingly difficult to maintain in Saint Domingue. Plantation owners in Haiti tried to block the “dangerous” ideas coming from Paris, but the ideas spread among the slaves through smuggled pamphlets and by word of mouth. The tinderbox ignited on the night of 21 August 1791, when the slaves of Saint Domingue rose in revolt. Within weeks, the number of slaves who joined the revolt reached some 100,000. Within the next two months, as the violence escalated, the slaves killed 4,000 whites and destroyed hundreds plantations. By 1792, slave rebels controlled a third of the island and the following year events took a dramatic turn when the new French Republic found itself at war with Britain and Spain. Britain sent an expeditionary force to Hispaniola and, with Spain, who controlled the rest of the island, invaded Saint Domingue and were joined by the slave forces. To prevent military disaster, and secure the colony for republican France, the French political commissioners freed the slaves in Saint Domingue. The promise of emancipation persuaded the leader of the slave forces, Toussaint L’Ouverture, to switch sides and stop collaborating with the Spanish who refused to take steps to end slavery. Toussaint L’Ouverture, a self-educated former domestic slave, was very intelligent, organized and articulate. A charismatic military leader, he essentially restored control of Saint-Domingue to France. Having made himself master of the island, however, Toussaint did not wish to surrender too much power to France. He began to rule the country as an effectively autonomous entity. Toussaint defeated a British expeditionary force in 1798. In addition, he led an invasion of neighbouring Santo Domingo (December 1800), and freed the slaves there in January, 1801. In 1801, L’Ouverture issued a constitution for Saint Domingue which provided for autonomy and decreed that he would be governor-for-life, calling for black autonomy and a sovereign black state. This was a step too far for Napoleon Bonaparte. Lobbied by plantation owning interests and craving the tax wealth brought in from the colony Napoleon dispatched a force of 80,000 French troops to the island, led by his brother-in-law Charles Leclerc, to restore French rule. They were under secret instructions to restore slavery, at least in the formerly Spanish-held part of the island. L’Ouverture, deceived, was seized by the French and shipped to France. He died months later in prison at Fort-de-Joux. For a few months, the island was quiet under Napoleonic rule. But when it became apparent that the French intended to re-establish slavery, black forces revolted in the summer of 1802. 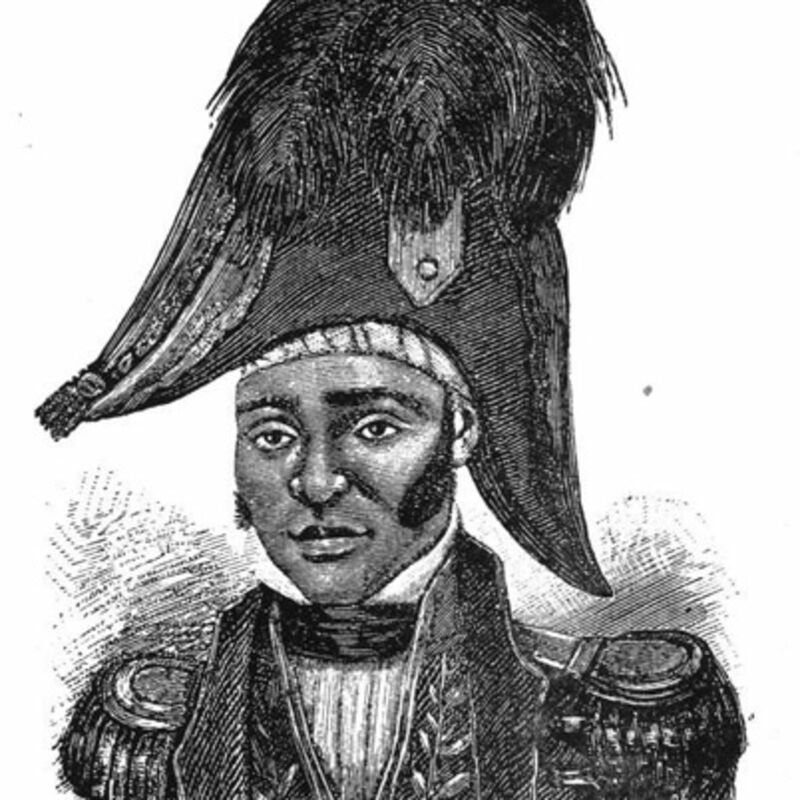 Jean Jacques Dessalines, a former lieutenant of L’Ouverture, led the fresh rebellion. In November, Leclerc died of yellow fever, like much of his army. His successor, the Vicomte de Rochambeau, fought an even more brutal campaign. His atrocities helped rally many former French loyalists to the rebel cause. The French were further weakened by a British naval blockade, and by Napoleon’s inability to send the requested massive reinforcements after war with England resumed in the spring of 1803. 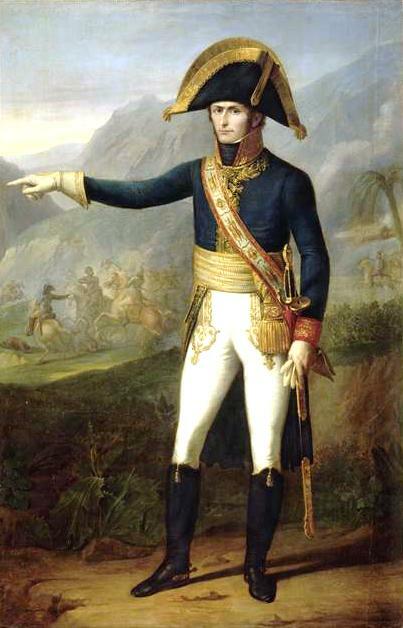 Having sold the Louisiana Territory to the United States in April 1803, Napoleon began to lose interest in his failing ventures in the Western Hemisphere. He was more concerned about France’s European mainland enemies. Consequently, he withdrew a majority of the French forces in Haiti to counter the possibility of an attack from Prussia, Britain, and Spain. 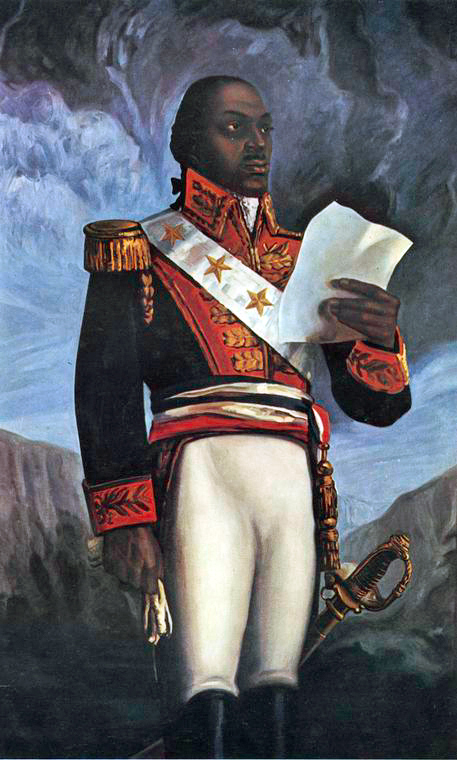 Dessalines led the rebellion until its completion, when the French forces were finally defeated in November 1803. On 1 January 1804, Dessalines officially declared the former colony’s independence, renaming it “Haiti” after the indigenous Arawak name. Haiti was the first independent nation in Latin America, the first post-colonial independent black-led nation in the world, and the only nation whose independence was gained as part of a successful slave rebellion. It has been estimated that the brutal Haitian Revolution from 1791 to 1804 resulted in the deaths of 350,000 black and mulatto Haitians and over 50,000 European troops. To cement his control Dessalines ordered one final massacre; the virtual eradication of the remaining white population of Haiti. Between February and April of 1804 almost 5000 remaining white French Creole inhabitants were murdered. The 1804 massacre had a long-lasting effect on the view of the Haitian Revolution and helped to create a legacy of racial hostility in Haitian society.